NHS England has issued an urgent health alert after an infant was admitted to intensive care suffering from a confirmed case of Legionnaires’ disease. 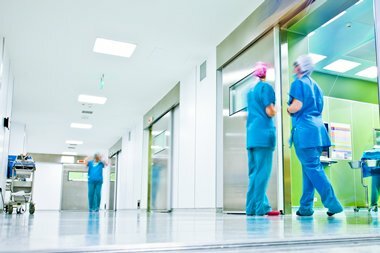 In light of the case, experts at leading legionella risk management company, Legionella Control International are now working closely with their own NHS and health sector clients to investigate the conditions surrounding the case and rapidly implement measures to control the risks of further contaminations. Experts at Legionella Control International are working closely with our NHS and health sector clients to help them identify and assess any possible risks similar to those that led to this incredibly rare case. Samples taken from the heated birthing pool in which the child was born have tested positive for Legionella bacteria which is thought to be directly linked to the baby’s serious lung infection. In light of the current situation, tens of thousands of women across the UK have been warned against home water births and the use of heated birthing pools until a complete risk assessment and management strategy have been put into place. While statistics indicate that there are around 350-400 confirmed cases of Legionnaires’ annually, the majority appear in older patients and it is extremely unusual to see a baby develop the disease. In fact, between 1990 and 2011 there was just one reported case of a child contracting the bacterial infection. Furthermore, the current situation is the first reported UK case of Legionnaires’ disease directly linked to a contaminated birthing pool. The breaking case highlights the absolute importance of maintaining water systems and carrying out regular maintenance, inspections and staff safety and awareness training. With the recent opening of Legionella Control International’s new Kemp House office, areas across London and the South East have increased access to the company’s comprehensive range of legionella risk management services encompassing control, management, compliance, training and prevention of the potentially lethal water borne disease. Since the opening of our new London office, the company has received an influx of business from London and South East based organisations wanting to eliminate uncertainty and ensure that their water systems are safe and fully compliant with the law. With our increased office presence in the capital, we are able to provide our commercial, industrial, healthcare, governmental and non-profit sector clients with an outstanding level of service and attention to detail. With a large number of home water births occurring in London and the South East region, the new Legionella Control International office is perfectly positioned to safeguard newborns against the serious bacterial disease.